Kelli Sandman-Hurley, Ed.D. is an author and co-founder of the Dyslexia Training Institute. She received her doctorate in literacy with a specialization in reading and dyslexia from San Diego State University and the University of San Diego. She is also completing her TESOL certification. Dr. Kelli is a certified special education advocate assisting parents and children through the Individual Education Plan (IEP) and 504 Plan process. She has training in mediation and also serves as an expert witness in the area of dyslexia. Dr. Kelli is trained in Structured Word Inquiry, the Orton-Gillingham approach, Lindamood-Bell, RAVE-O and Read Naturally. 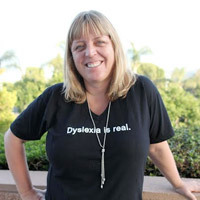 Dr. Kelli is a Past-President of the San Diego Branch of the International Dyslexia Association. She is a dyslexia consultant working with schools to improve services offered to students with dyslexia and training teachers. She co-created and produced “Dyslexia for a Day: A Simulation of Dyslexia,” and she is a frequent speaker at conferences. She is the author of the well-received book, Dyslexia Advocate! How to Advocate for a Child with Dyslexia within the Public Education System. Tracy Block-Zaretsky is the co-founder of the Dyslexia Training Institute. She has provided remediation for children and adults with dyslexia for the past 20 years and has developed and taught workplace and family literacy program. She is a certified Special Education advocate assisting parents and children through the Individual Education Plan (IEP) and 504Plan process. 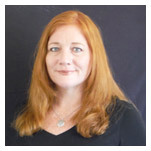 She is a past President of the San Diego Branch of the International Dyslexia Association.Tracy has training in Structured Word Inquiry, the Orton-Gillingham approach, Lindamood-Bell programs, Read Naturally and a variety of reading and writing assessments. She co-created and produced, "Dyslexia for a Day: A Simulation of Dyslexia," and has provided professional development for educators and training for parents at numerous conferences, private on-site trainings and online courses and webinars. Tracy is also a parent of a child with dyslexia, dysgraphia, ADD and Executive Function Disorder. Brittany Martinez has worked with children in the general education classroom, including English Language Learners, and one-on-one with students with dyslexia. She worked at the San Diego State Children’s Center for four years while getting her Bachelor’s Degree in Liberal Studies. 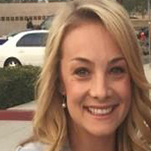 Brittany continued her education and earned a Multiple Subject Teaching Credential to teach Elementary School. She has worked for the Dyslexia Training Institute for over five years and has been trained in Structured Word Inquiry, the Orton-Gillingham approach, and is a Special Education advocate assisting parents through the IEP and 504Plan process. Brittany wears many hats at the Dyslexia training institute, including providing one-on-one remediation, teaching online courses, and presents on-site trainings for parents, educators and private practitioners. The San Diego Learning Centers of the Dyslexia Training Institute offer one-on-one and small group remediation in reading, writing, spelling, and critical thinking to students of all ages. We use only research-based methods including the Orton-Gillingham (O-G) Approach and programs based on O-G such as Wilson Reading System and Barton Reading & Spelling System; comprehension and fluency development programs such as Lindamood-Bell program, RAVE-O, and Read Naturally. All programs are administered by highly-trained and experienced specialists.